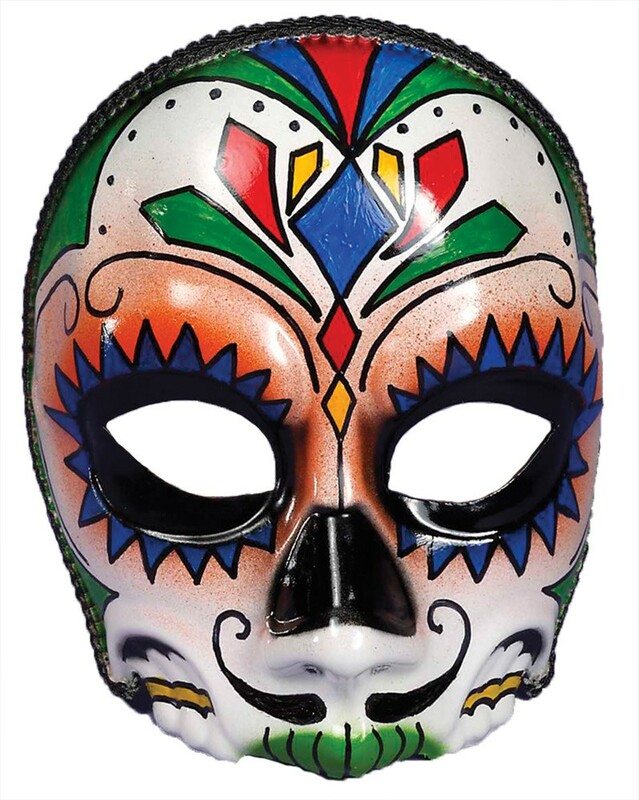 This sugar skull mask would be great for any Day of the Dead Parties and will eliminate the need to use makeup. Covers the entire face to the bottom lip. Very colorful mask with eyeglass arms to keep mask in place. One size fits most. Male.